I love this card, Kia. I have to try that technique too; it seems so cool. You have the nicest variety of dies -- that lobster is perfect for this card. super beachy card mf...love hot the bkg looks! Kia, what an absolutely fun card! I love the lobsters on the top with the amazing background you've created! 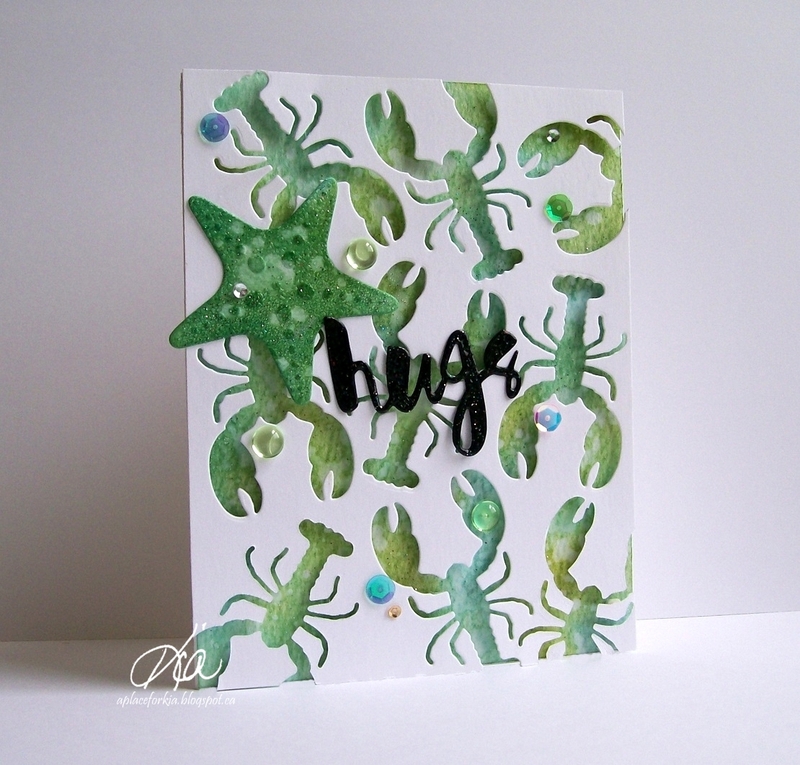 And the starfish is fabulous along with the great "hugs" die! I need to use mine! Hugs and love, sweet friend!